CTRL+S 1) In any active window clicks “Save”, “Update” and so on. CTRL+E In topic “Campaigns” and in campaign report opens the campaign edit. CTRL+R In campaign settings opens the report. 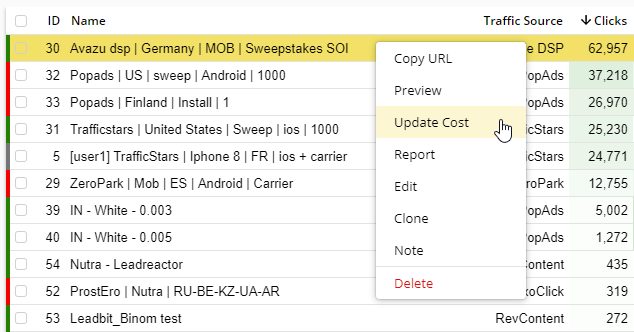 With right mouse button click in each section of the tracker you can see a context menu that allows you to perform familiar operations even faster.